Are you tired, Mamas? ME TOO!!! My toddler hardly EVER seems to sleep through the night. We are loving Harvey Karp's new book, that we were able to review, "Happiest Baby Guide to Great Sleep." Harvey Karp is the popular author of books like "Happiest Baby on the Block" and "Happiest Toddler on the Block", which we LOVE. That is why were were so excited to read his newest book! Will this book guarantee you 100% sleep every night? No. Will this book make your baby sleep through the night from their first night? No (and we do not suggest it-- babies need to eat!). But it WILL give you great ideas to create a better sleep environment for you AND your baby. It is good for children from birth to 5 years of age, and we felt it was perfect for our 2 year old. 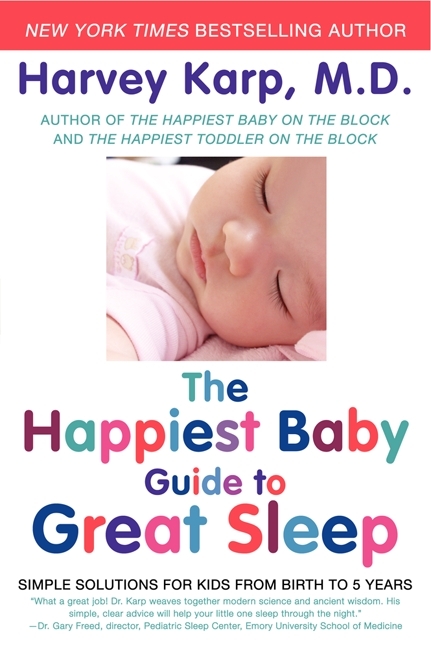 What we love the most is that "Happiest Baby Guide to Great Sleep" takes into account different children and different families and does not offer just one solution, but many different things you can try!